Are we ready for another recipe round-up? I'm excited about a number this week's recipes since they match up with our Brown Box produce. 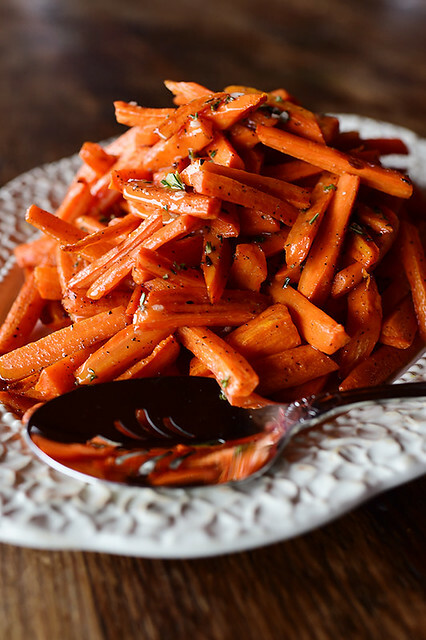 I don't think you can go wrong with a recipe from the Pioneer Woman, and this recipe for roasted carrots with viniagrette dressing looking awesome. Plus, it's enough to feed a crowd with 10 servings. 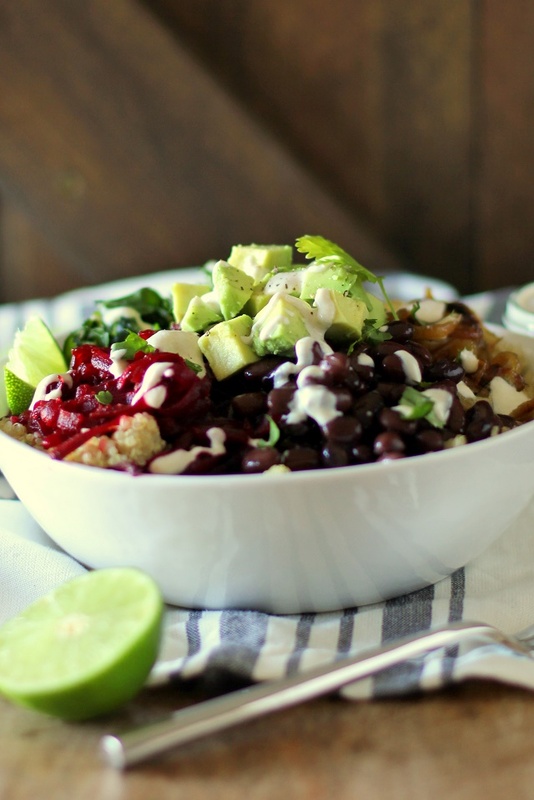 A burrito bowl sounds like the perfect lunch, and this bowl created by The Roasted Root has all kinds of goodies: quinoa, roasted beets and black beans. So yummy. 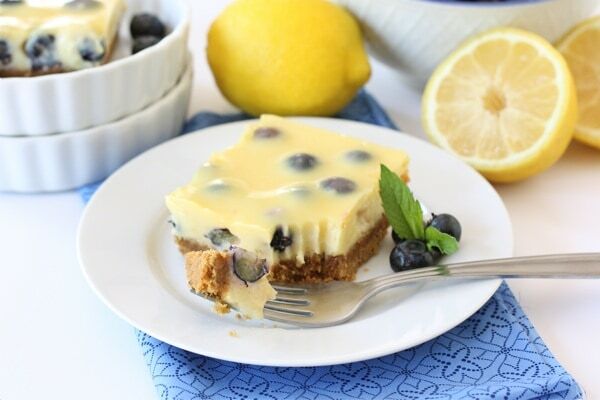 Can we all just appreciate at how delicious these lemon blueberry bars look and then head over to Two Peas & Their Pod to add the recipe as dessert to this week's meal plan? I guess I can't help myself when it comes to salmon, which is why I buy it in five pound boxes from our meat market. 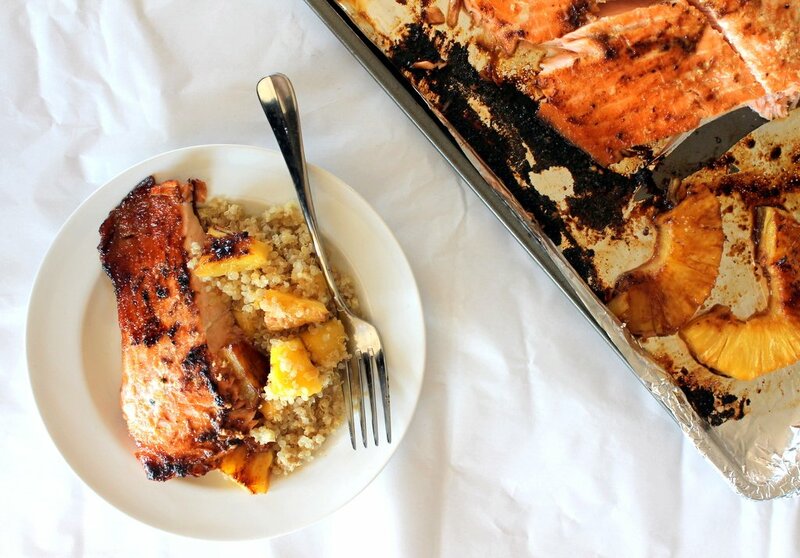 This Ambitious Kitchen meal features honey marinated salmon and carmelized pineapple, and we get a pineapple in nearly every Brown Box fruit box. I'm linking up with High-Heeled Love and My So-Called Chaos for the Weekly Round-Up party. Want to play along? Click the button to join the party.